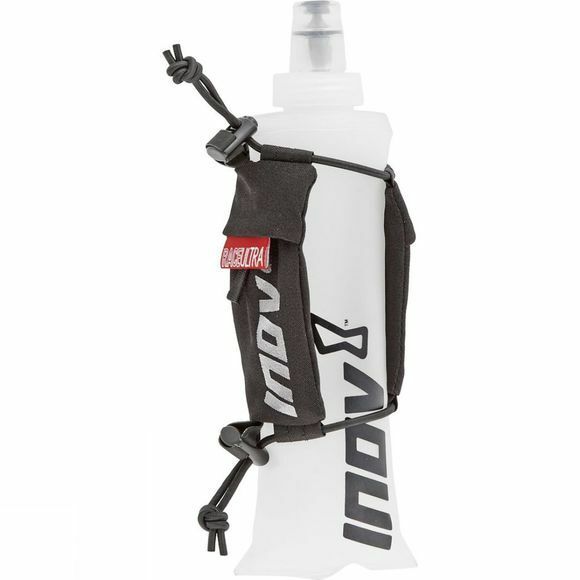 Quick access to fluid: Hand strap allows athlete to carry a softflask while running, ensuring quick and easy regular fluid intake. Unhindered running action: The strap eliminates having to employ an energy-wasting, tight grip and allows a softflask to be held more comfortably and naturally. Secure fit: Bungee straps ensure secure hold. Versatility: Pockets can hold energy gels and/or other small essentials.